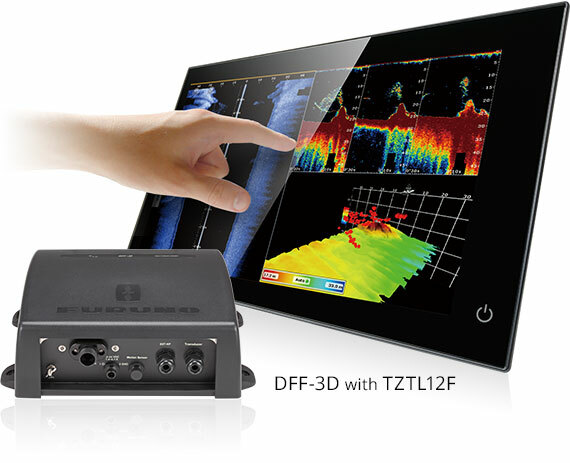 Compatible with NavNet TZtouch/TZtouch2 or Windows OS with TZ professional software. 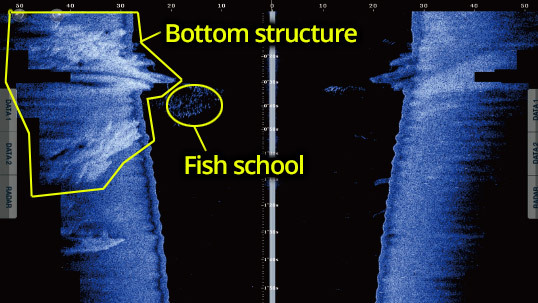 Turn your NavNet TZtouch or TZtouch2 MFD into a multi beam sonar that can see 120-degrees port to starboard, allowing you to see the depth and direction fish schools are moving, while displaying the seabed condition in real time. 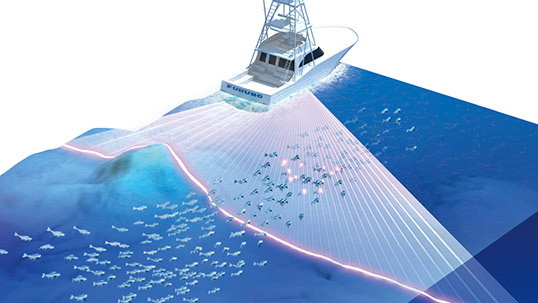 Sidebar detection range is up to 200 m (over 650 feet)* in a 120-degree swath port and starboard direction. 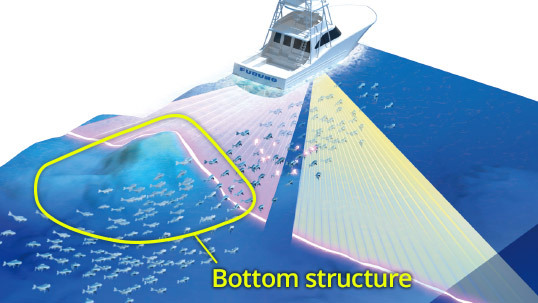 Deep water, main beam penetration directly under the boat is approx. 300 m (over 980 feet)*. 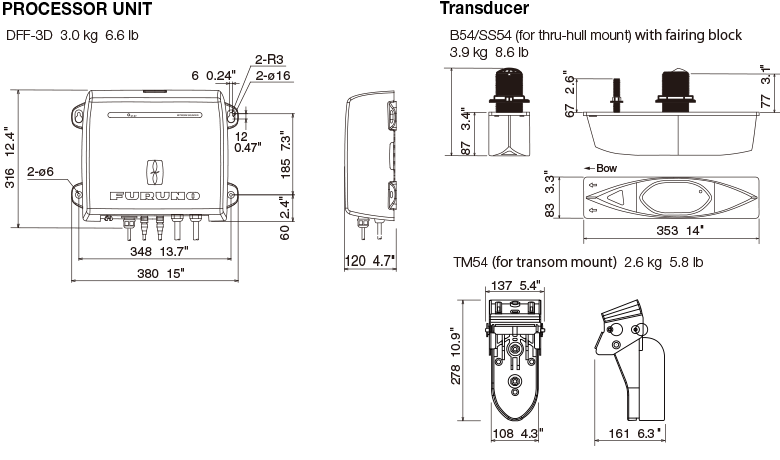 *Depending on bottom, water and installation conditions. 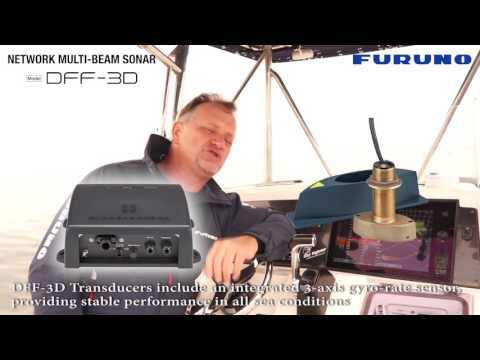 The compact transducer allows easy installation. 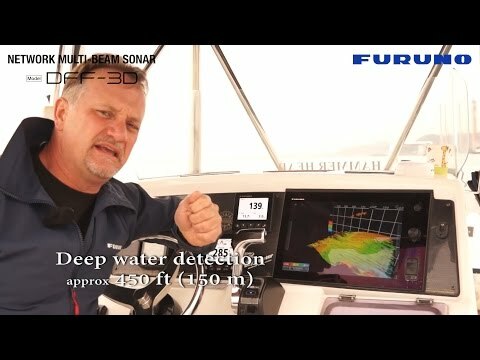 The built-in motion sensor (standard supply) stabilizes the display to give clear and stable images even under rough sea conditions. Depending on the situation and preference, a combination of screen modes can be displayed. 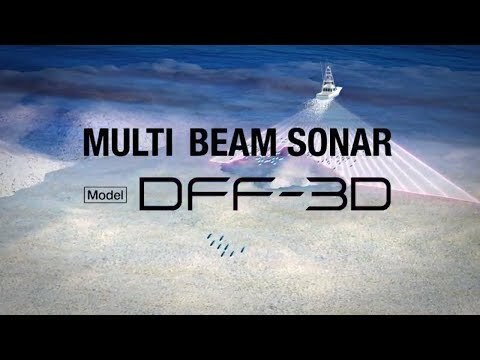 DFF-3D with groundbreaking four modes bring a whole new dimension to your fishing. 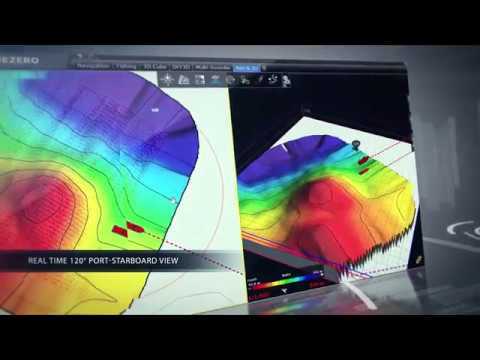 Cross section displays the real-time sea column echo in 120 degrees port and starboard. 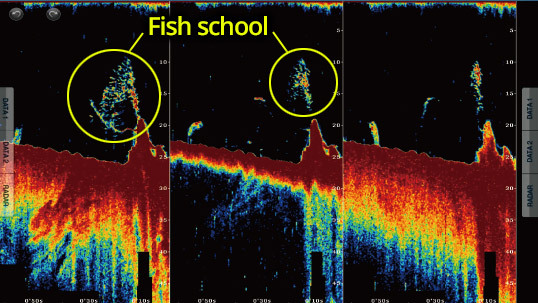 This mode aids in instantly understanding the distribution of bait fish and the water column condition. 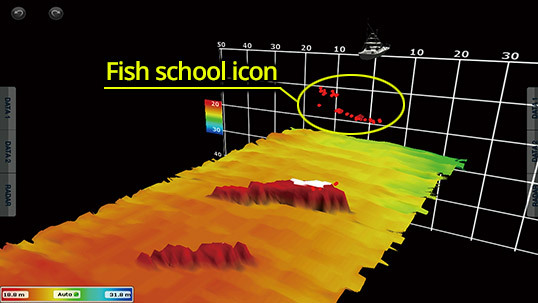 The 3D sounder history provides an intuitive and easy to understand 3D image of the seafloor, along with fish school icons. 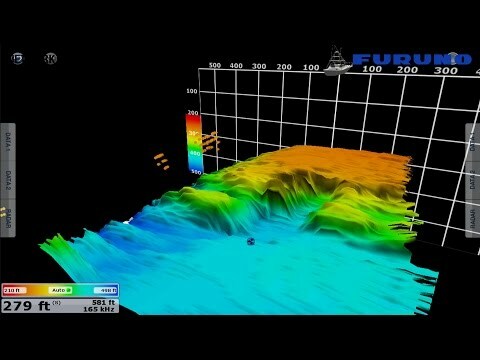 This mode is useful in a variety of situations, such as selecting a fishing hot spot and assessing the seabed condition. 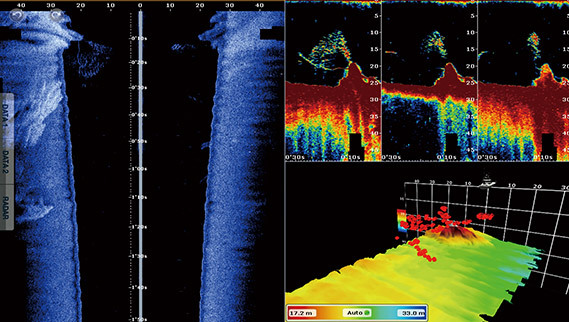 A single (directly under boat) or triple direction (middle, left and right) fish finder image is displayed simultaneously. 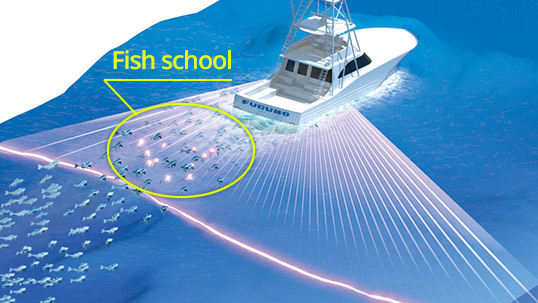 The Triple beam display helps to understand the depth of fish targets and the seabed condition in each direction, as well as the direction the target fish are moving. Each beam angle and beam width are selectable. 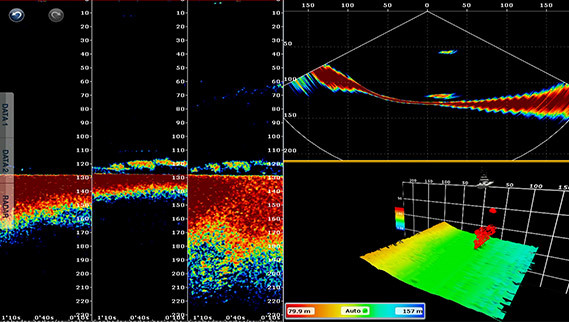 Side scan clearly displays the shape of structure as a high definition image in port and starboard direction. 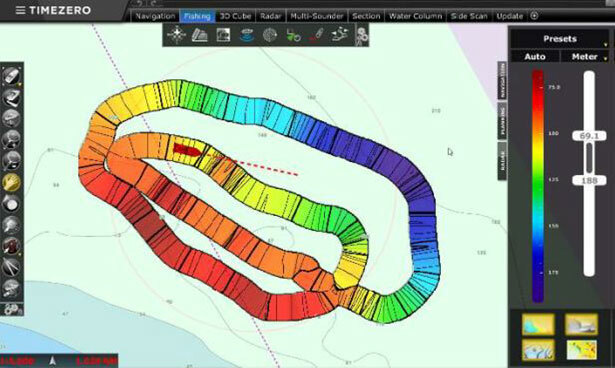 It is suitable for searching the seabed and understanding the sea floor structure. 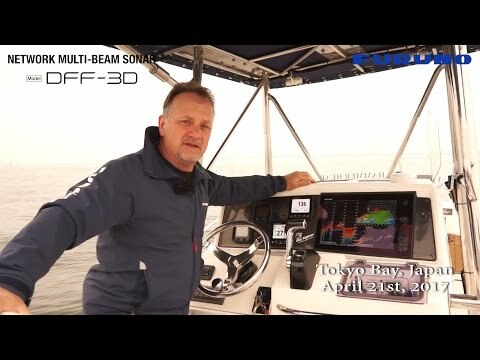 DFF-3D x TZ Professional v3, astonishing results. 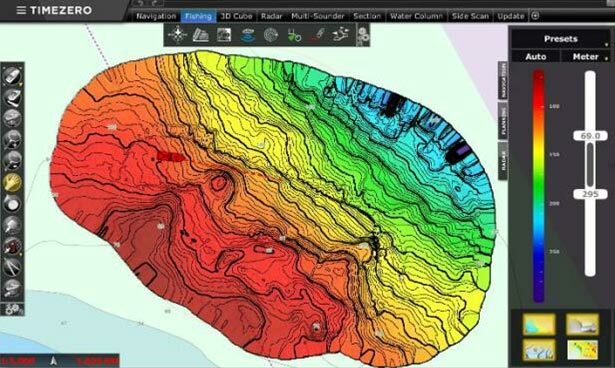 When paired with TZ (TIMEZERO) Professional software and the optional PBG module, the DFF-3D can generate up to 50 depth points per second to quickly create a highly accurate Personal Bathymetric Generated (PBG) database. 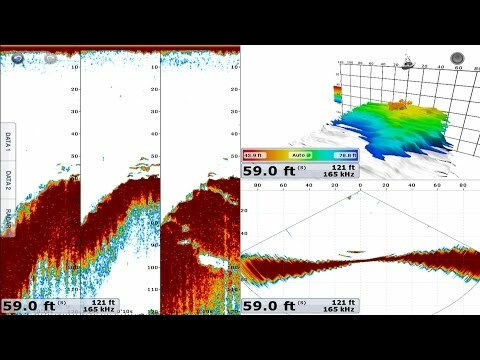 The following screenshots show how the PBG database is dynamically created with the DFF-3D, in comparison with conventional Fish Finder models. Further details on TIMEZERO website. 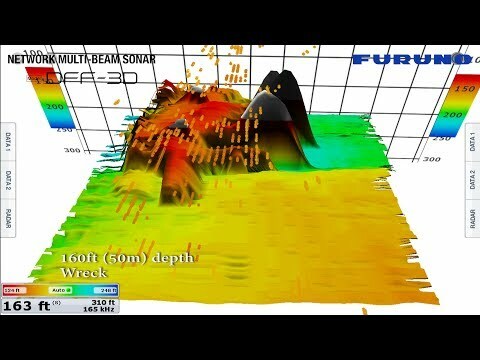 The wide coverage of the DFF-3D beams helps draw the PBG map much faster (50 points per second) than any conventional Fish Finder. 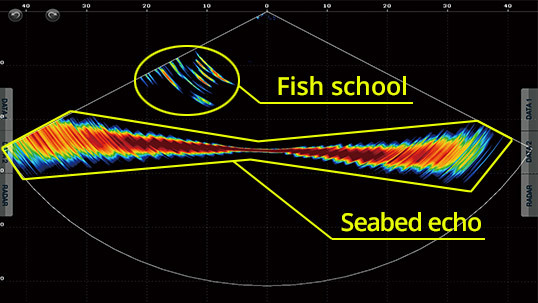 With conventional Fish Finders, the recorded area in the PBG database is limited to 1 point per second due to narrower scanning beams. SATELLITE COMPASS required as the primary source of position, heading, and motion (roll/pitch/heave) data. 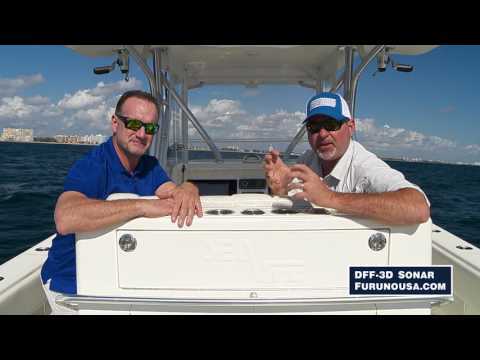 The DFF-3D can detect and generate a PBG database down to 200 m. When the depth is deeper than 200 m, the PBG source can be switched from the DFF-3D (multi-beam) to a Fish Finder (single beam). 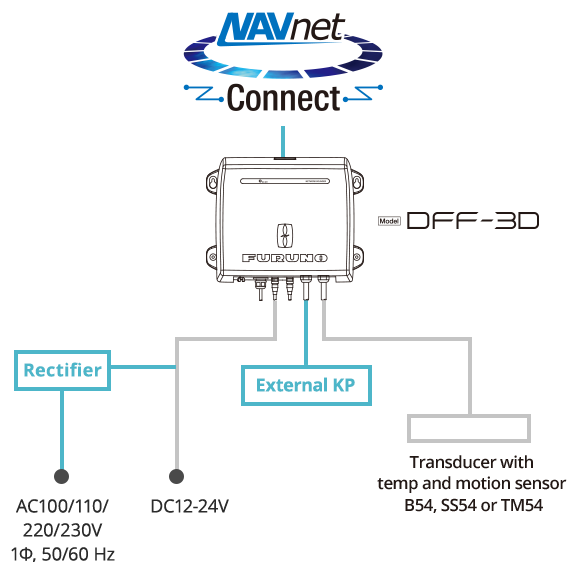 This product is compatible with NavNet TZtouch*, Navnet TZtouch2* or Windows OS with TZ professional software**. 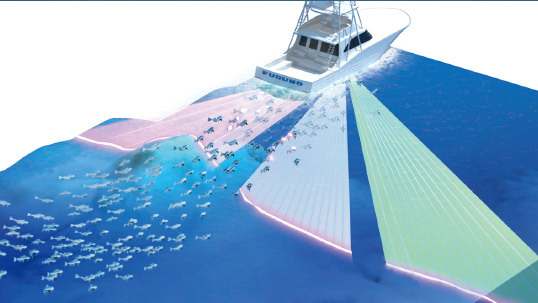 For more information about our NavNet products, please click the link below. Contact a local distributor for further details.